Second, To check out more amazing T-Shirt Scarves & Necklace, visit my BOARD on Pinterested called IBP: T-Shirt Necklaces & Scarves. In today's episode I show you how to make your own Sidewalk Chalk, which is actually a lot of fun (and comes in handy for cub scouts). And then at the end I couldn't resist sharing some Fun Sidewalk Chalk Photo Ideas. Check out the episode on My Craft Channel. Here's the links to the blogs I referenced in the episode. To check out more amazing chalk paint ideas, visit my BOARD on Pinterested called IBP: Chalk Paint. 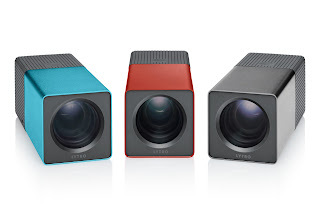 Lytro Camera...a new way to take pictures! I was so excited the first time my brother showed me this amazing camera. I haven't wanted to blog about it for a while, but and I hope you are amazed by the Lytro Camera and the "living pictures" it takes!! To sum it up, "Shoot Now, Focus Later." But rather then tell you about it, let me show you. These are photos that were taken using the Lytro camera. Try clicking on different points on the images and see how they refocus. It's amazing!! You can check out more gallery images you can try out for yourself on the Lytro website. "Lytro lets you take pictures like never before. Unlike a conventional camera that captures a single plane of light, the Lytro camera captures the entire light field, which is all the light traveling in every direction in every point in space." Welcome to my blog if you're new here. 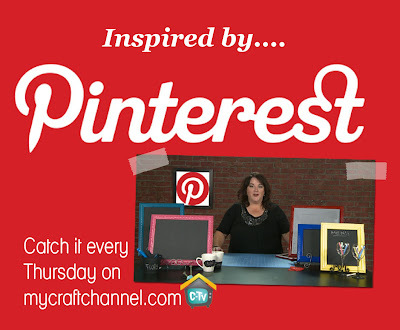 I was so excited to have my first episode of "Inspired by Pinterest" airs today. And as I promised here are links to the bloggers that inspired me. Pinterest is a great place to find inspiration but not all pins lead to blogs. I tried to only pick those ideas that I could find the original creator and give credit to. Please take a moment and check out these great blogs because without them I wouldn't have content to talk about on the new My Craft Channel show Inspired by Pinterest. ....and then last how simple and easy it is to use chalk vinyl. There were so many more ideas I would have loved to share, but time is limited. But if you'd like to see those additional chalk paint ideas, visit my BOARD on Pinterested called IBP: Chalk Paint. Last year I pitched a show to the team at My Craft Channel called "Inspired by Pinterest." I was so excited about the idea of taking inspiring PINS from the popular website Pinterest and bring them to life. They loved it, but agreed they wouldn't proceed without talking to Pinterest to make sure this is something they would be alright with and support. They LOVED it too! And much to my shock and surprise I was asked to be the host of this show. So many of you know that I'm a huge Pinterestfan and love, love, love all the different inspiration I find there. Well I have to share my latest with everyone because you've seen me talking about it on Facebook. 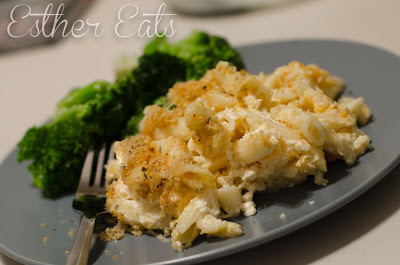 It's the Slow Cooker Mac & Cheese recipe that I found one day on Pinterest. This photo from Esther does not even convey how yummy this is to eat! I thought I'd share with you what I learned about what works and what doesn't before sending you over to Esther's website for the recipe.